Somewhere in Silicon Valley, a group of computer programmers sit silently in a room together, legs crossed and eyes half-closed, listening to the sound of their own breath. Elsewhere, the owner of a small real estate company starts her day by breathing deeply and engaging in yoga poses. Still, elsewhere, a data entry specialist finishes his turkey sandwich and returns to his cubicle, puts on his headphones, and breathes deeply while listening to the sounds of bells and waterfalls. Meditation looks different for different people, but one thing is for sure: it is quickly gaining popularity in Western culture. It has many professional and personal benefits including increased productivity, reduction of stress and depression, and reduction of troubling physical symptoms such as headaches and muscle tension, to name a few. The word “meditation” often elicits images of devout men sitting silently in mystical temples far away. It can seem foreign and certainly something too far removed from daily life to have a practical application for business or even for personal gain. You may have preconceived notions about what meditation entails or cultural or spiritual beliefs which you feel may hinder you from participating in meditation. While meditation does have its roots in several spiritual practices, it is increasingly being recommended by Western medical professionals as research is bringing to light the multiple health benefits of regularly engaging in this form of focused relaxation. - A relaxing environment: whether it is in the woods, by the lake, in a studio, or in your living room, mediation usually occurs in an environment that is physically comfortable and free from noisy distractions. Some people choose to sit on a cushion and focus on their breathing in complete silence while others may choose to lay on their beds and listen to relaxing music. - Posture or movement: during mediation, the participant will generally sit in a specific posture, such as with the legs crossed, spine straight, and hands resting on the knees. Sometimes participants will lay down or engage in specific movements, such as with yoga or t’ai chi. - Focus: while meditating, the participant will focus on a number of things from their simple breath, the feeling of energy moving through the body, an object, a value or ideal, or a word or phrase called a mantra. - An open mind: during meditation, the participant allows their mind to let thoughts flow through their mind without judging them. Often times, the meditator will observe the thoughts instead of suppress them and then gently bring their focus back to the intended subject. The idea of being successful, or being able to accomplish what you have set out to do or being able to achieve the state of mind you desire, is usually associated with words like “persistence,” “patience,” “hard work,” and “goal-setting”. Meditation most likely wouldn’t even be one of the top hundred words associated with success. But it should be. Think about it. If one activity, alone, could improve several aspects of your mind and your body at the same time, from problem-solving skills to general creativity to blood pressure, immunity, and headaches, wouldn’t you think it could greatly contribute to your overall success in life? The healthier you are and the more empowered you feel, the more likely you will be to accomplish the goals you have set for yourself. The following list serves as a reference for different kinds of meditative practices. Choose one or two that you think you might enjoy and incorporate them into your schedule. Many people prefer to meditate early in the morning before starting their day to help them start with a positive outlook. Others choose to meditate just before bed to help them relieve anxious thoughts and drift off to sleep peacefully. 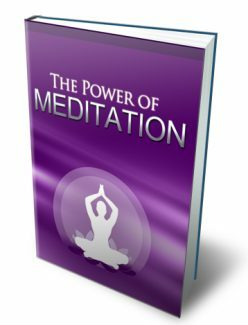 A few meditative exercises are detailed later in Chapter 3: The Practice of Meditation.